This is your opportunity to nominate clergy and lay persons to serve as delegates to the 2020 General and Jurisdictional Conferences. The election of delegates will occur at the Michigan Annual Conference in June 2019. 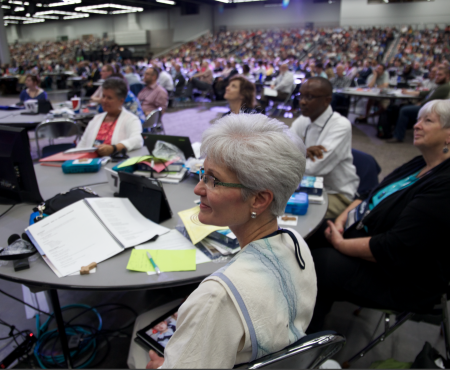 Significant decisions about the global nature of the church, mission emphasis, deployment of clergy, local church vitality, and denominational structure, are likely to be made at the 2020 General Conference. To appear in the list of nominees to be published prior to the Annual Conference, nominations must be submitted electronically by February 15, 2019. Miss the deadline? Nominations can also be taken during our Annual Conference business sessions prior to each vote. Each nomination of an eligible candidate will be assigned an electronic number and added to the list of candidates. April 1, 2019 - Approved nominees published on 2019.MichiganUMC.org website. Minneapolis Convention Center in Minneapolis, Minnesota. Bishop David Bard is conducting a series of listening sessions and offering important resources to discern the issues facing the global church. You can learn more here. Lay and clergy delegates who will work hard to understand the complex issues facing the church and who have a passion for our denomination are sought to fill these positions. Nominees need to be individuals who exercise initiative and demonstrate success in visionary leadership with the local church and beyond. Delegates must be attentive to the prompting of the Holy Spirit as we embrace needed change, strengthen our connection, and enhance our ability to make disciples of Jesus Christ for the transformation of the world. 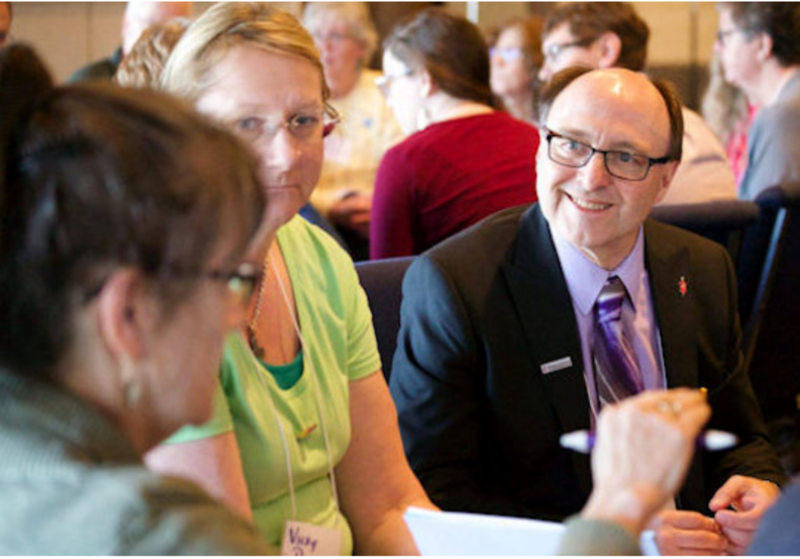 Delegates must be present at all meetings that lead up to the General Conference, attend the General Conference in Minneapolis, MN and the Jurisdictional Conference in Fort Wayne, IN. Additionally, delegates need to be comfortable with or have ready access to a means of electronic communication. Massive amounts of information will be communicated via email and the web. Text and cell phone communication within the delegation is a vital link as well. A delegate must also be able to endure the pace of a vigorous work schedule and accommodate an extensive amount of walking. As always, our conference must strive for a slate of nominees that is inclusive of age, gender, persons with disabilities, and ethnic diversity. We encourage you to differentiate between loyal workers who are deserving of recognition and those who truly possess the qualities needed to be an effective delegate. Individuals may nominate themselves or be nominated by a third party. In either case, nominees must affirm their willingness to serve if elected. To nominate an individual by the February 15th deadline, please complete the appropriate Nomination Forms at left for either clergy or laity. Please be aware that questions as they appear on the online forms are in past tense. Nominees are asked to submit a large high definition photograph (640 x 480 pixels/300 dpi or larger) in .jpg, pdf,or .pic format electronically for inclusion in the published list of nominees. As specified by the Conference’s Committee on Rules and Order of Business, completed nominations will be transmitted to the Director of Connectional Ministry, along with other members of this committee, who will oversee their collection and the extraction of relevant data for inclusion in a list of nominees that will be published on April 1, 2019 only on the Michigan 2019 Conference Website: 2019.MichiganConference.org. This list will be included as part of the package of preconference materials. Other nominations for delegates to General and Jurisdictional Conferences may be received as write-in nominations on the first ballot at the Michigan Annual Conference with no nominating speeches and no biographical sketches. For details on the nominating process, please see The Michigan Conference Plan of Organizations – Rules of Order, # 5.7. The Committee on Rules and Order of Business greatly appreciates your prompt and prayer-guided response to the opportunity to nominate delegates to the 2020 General and Jurisdictional Conferences.